Sally Griffyn AKA Millionaire Yogi is a Spiritual Business Coach who coaches entrepreneurs, “Yotrepreneurs", in the Wellbeing and Yoga sector to find their Super Niche and create financially abundant businesses. Sally believes that you can be a deeply spiritual being and attract and manifest at the level of a banker. As an online show host Sally interviews successful Yotrepreneurs across the globe inspiring people to get up of their couch or their butts to do something they really love. Sally has both a corporate and spiritual background. She worked as a property developer in London and created a £7 million business so she knows what success looks like. But her passion is firmly based in the yoga and alternative world which in itself is very lucrative. The yoga industry is worth £27 billion in US alone, 80% are women and there’s been a 87% increase spent on yoga products in the last 5 years. Sally was in Rajasthan, India, working in the film business. Until that time I didn’t believe it. I thought some people were happy some people were unhappy. I didn’t realise it was a choice. When Sally got back to London, her job had been given away so the universe manifested what she needed. From then on, she followed her bliss and created the life she really wanted. Many people in wellbeing and yoga believe that as a do good healing path they will never make as much money as bankers or people in the “normal” work force. Sally teaches that you can be a deeply spiritual being and attract and manifest at the level of a banker. “I feel incredible..I feel better than I did in my 20s and I’m in my 50s." This is not what we’re conventionally taught about age! Sally is such a great role model for anyone who wants to present their power and find their true authentic voice because she has this strong message that yoga and the alternative field can be as successful as banking. Its a radical thought and it divides opinion. 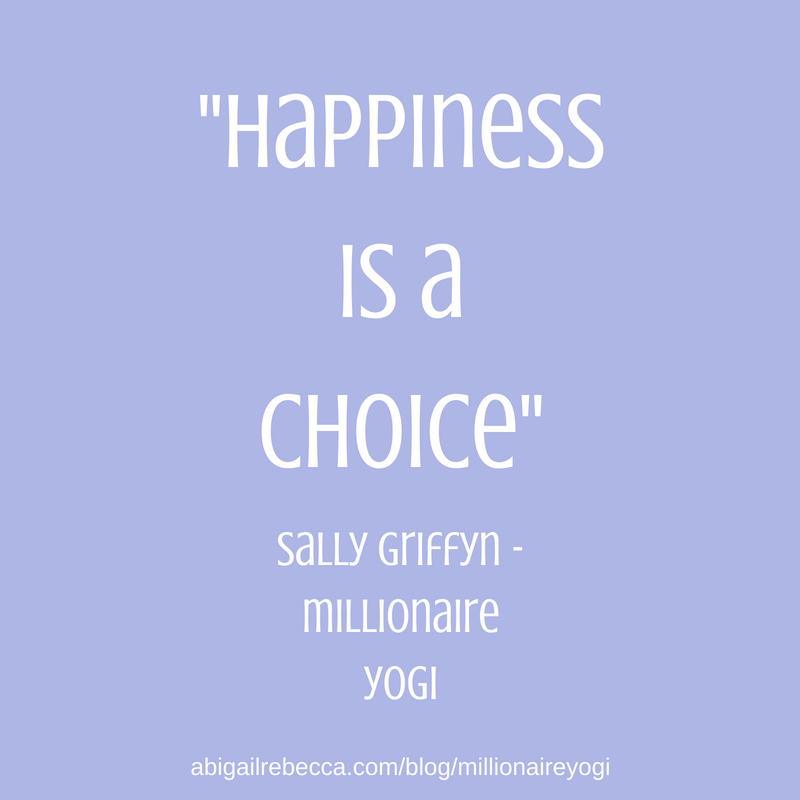 When Sally created Millionaire Yogi she knew it was powerful. She knew the message would hit the spot. As soon as people started to contact her, upset and angry about mentioning money and yoga in the same breath, she knew she was on the right track. She wanted to be controversial to attract the right people. She works with people who believe that money is energy. 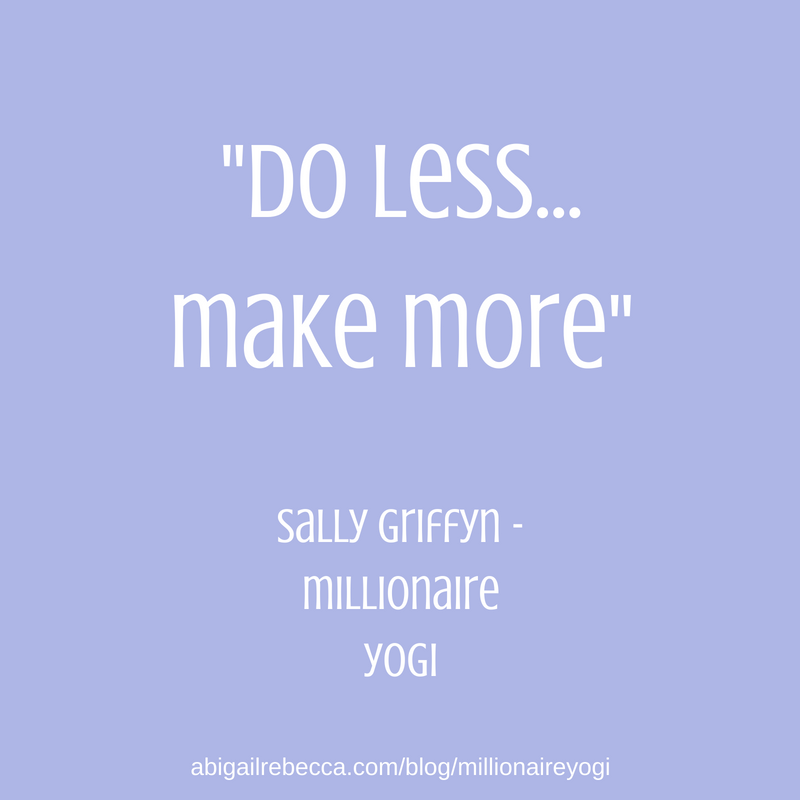 Do less make more is one of the key concepts Sally teaches. She works with people who want to create a business in the alternative sector, not just yoga but also sustainable fashion, music, poets…the list goes on. She encourages lots of meditation, breath work and creating projects from a place of happiness to create a super niche. Sally hosts her own online show where she interviews successful business owners in the yoga and alternative field. So how can yoga make you a better presenter? “One form of yoga is Nāda. It teaches you to listen; listen to instructions, listen to music, listen to your breath. When I interview, speak and present it’s not about me. Sally advises that breath work is also so important when you’re presenting. Breath exercises to calm and change the energy so you’re no longer frazzled and you're super present. To hear more from Sally on how to turn your passion into a successful business AND how to present your power while you're doing it, listen to her full interview HERE.